Furthering the objectives of extremist organizations is viewed as detrimental to the good order, discipline, or mission accomplishment of the unit and is, therefore, subject to appropriate disciplinary action. As an EOA, you should assist the unit commanders in being vigilant about the existence of such activities. I would love to see the look on General George Washington's face after reading this military guidance, "Nowadays, instead of dressing in sheets or publicly espousing hate messages, many extremists will talk of individual liberties, states’ rights, and how to make the world a better place." Not only did Washington hold such "extremist" ideology, but he also organized men in pursuit of its goals to secure a greater measure of liberty. The founding generation, extremists, successfully threw off tyranny in colonial America, and they also founded our current government through our Constitution and put in process a system that replaced the authoritarian divine right of Kings and which has, when followed, made our country better as suffrage was expanded and slavery eliminated. If this Air Force training material is to be believed, what we are teaching our airmen is that the proper course of action in the face of tyranny and government abuse, is to simply shut up and accept an authoritarian government and to be wary of discussing "rights" and making the world a better place. Sounds familiar. Given that much of the training material is taken from the once-great Southern Poverty Law Center (SPLC), it's understandable why this training is so misguided. But the problem really is much larger than these documents, and those who composed them. There truly is an all out assault on our Constitution, our Bill of Rights, and our American ideals and that assault is widespread throughout our military. Our Constitution and our Declaration of Independence have both been paid lip service to, while those who truly value those documents are painted as domestic terrorists or as some kind of threat. I have experienced it first hand. Once when I was ordered by an AETC squadron commander to not discuss the Constitution with my students, and years later when I was ordered to violate our Constitution in the most egregious way possible, with extreme prejudice. I requested the first order in writing, but the commander declined to provide it, so I continued to instruct my students on the officership that was expected of them to include their oaths to support and defend the Constitution without mental reservation or purpose of evasion. The second, and much more troubling order, was provided in writing, after I refused the verbal order with a witness present. I refused that order in writing. My own FOIA results show that I was to be sent to either a court martial or more likely an administrative separation board and booted from the service with more than fifteen years of service (an admin separation board is a non-legal proceeding where the order would be assumed to be lawful). For some reason leadership changed its mind on this course of action. I figured they wouldn't court martial me and actually introduce the issue into a real legal proceeding, where they would most certainly lose, as the order would be declared illegal and unconstitutional and would provide some difficulties in the halls of power. I'm still not sure why they changed their mind on the administrative separation board. At any rate, they decided to give me yet another written reprimand, my first ever referral performance report, and they suspended all my security clearances on grounds that I was not "loyal." Never in my life would I have guessed that my loyalty would ever be questioned, but it was. I resigned my commission over the affair, but it was not accepted. It took more than a year of being in non-operational limbo not knowing my fate, but the Air Force ultimately did the right thing, found for me, acknowledged that I was defending our Constitution and that I had submitted my signed resignation to leadership in response to the reprimand. The Air Force reinstated my security clearances and put me back into the operational fight where I continue to use my experience to defend our nation, and our Constitution, as I swore to do; an oath I keep without letting cowardly concern for myself or my career get in the way of my duty to those who pay me to protect them. In my case, the Air Force did the right thing. But that matters little. I was the only person to refuse the unlawful order, and ultimately our Constitution was violated; a violation that in my view has marked the lowest point in American history, or has ended it all together. This is correct. When the American ideology that government be limited and checked and restrained, and that American citizens have rights in the face of powerful government, and that government is to be for the People rather than for ruling over the People, gets marginalized and is no longer valued, then American values become seen as extremist. Not because they are actually extreme or dangerous, but simply because they are different and minority. Ironically, our Constitution was created to protect the minorities and their rights to believe and speak unpopular minority views, and yet today we see the SPLC and others demonizing minority viewpoints using nonsense labels like "extremist" to describe a politically unpopular, though historically justified, point of view. Demonizing the very foundation of America as "extremist" and incompatible with military service is no small thing. But it's not just government and private organizations that wish to operate without legal restraint that demonize America. The Constitution is degraded and marginalized throughout the ranks of both the military and larger society, and in conversation on a day to day basis. Meat-head military officers who think ESPN is a news source routinely disparage the document, silence any discussion of it, and irresponsibly demonize the minority of their peers who actually make good on their oaths to support and defend the Constitution by publicly expressing their value for it. Even the highly educated and intelligent (like Tony Carr, who deleted his own blog post and its comments about his view that no rights in the Constitution are inviolate) find ways to verbally pay homage to the document, while approaching it with the caveat that it can be violated at the whim of the government or "interpreted" like play-doh for any end, making it wholly meaningless. A great many who serve are almost eager to violate the constitutional rights of their American neighbors and express it on an online poll, while being paid by those very same neighbors to protect their constitutional rights. We are in a very bad place. For those of us who serve, who truly serve, we need to feel the pressure of our oaths to America. While most of us will not be placed in a position where we are ordered to violate our supreme law and the rights of our neighbors who pay us (I fear that will change, and is changing), the rest of us can fulfill our duty to support and defend the Constitution by taking the minimal time required to read it, studying what the document says rather than what we want it to say or what we are told it says, and by mentoring our peers to do the same. And we have to draw a line in the sand, set a moral go speed, and commit to never violating our highest law no matter the cost to ourselves personally. At the end of the day, this isn't an intellectual exercise - it's a character exercise, and those who don't have the stones to truly defend Americans and make good on their oaths, should find some corporate company to ruin. Once we separate or retire from the military, then and only then, can we factor ourselves and our convenience into the equation. Until then, cowards need not apply and your justifications fall flat despite your attempts to silence those who show you a mirror. Public service ain't no chump game. Even when it's filled with chumps. You can call it "extremist" to do the right thing by your nation as you swore before God to do, even at your own personal career expense, if it helps you rationalize your lack of integrity or your lack of spine. 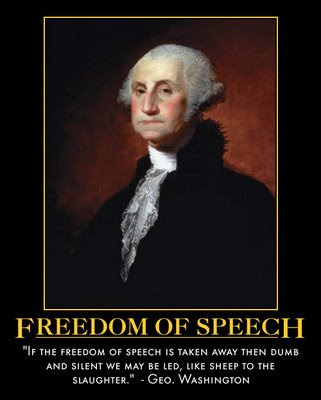 But as for me, I'll stand with General George Washington on this one. 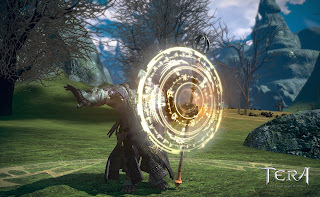 TERA - The Magical Shield For What is Coming? When I read about the Air Force implementing the new Temporary Early Retirement Authority (TERA) in late July, I had thought the window to apply was just over a month. While reading the Air Force Times website today, however, I noticed that the application window ends on 13 August. So I went to Google to take a look at an older Air Force Times article, and it also shows 13 August as the deadline now. Strange. The Air Force isn’t giving airmen much time to consider its offer: The deadline for applying is Aug. 19. Applications will be approved or denied, with airmen notified of the decision, by Sept. 1. Airmen approved for early retirement will have to leave the service by Nov. 1. Not surprising given the way this program has been announced and handled so far. I will be interested to see how many applicants are denied TERA, while the service checks the "we offered it" checkbox, only to be kicked out involuntarily months later. I am guessing this "offer" of TERA will be used to magically shield the service from the many complaints that will be endured in 2014, when the real weeping and gnashing of teeth begins; when folks with more than 17 years of service who were, months prior, deemed too "critical" to allow to retire early, are then given pink slips, and told, "thanks for playing." Interesting times we live in.